As with most of us, Amy Parker Anderson's time is of the essence. She works at Warby Parker and is the creator of the lifestyle site Parker Etc. She calls Nashville and New York City home. She's also mom to 5-year-old Parker and 2-year-old Sydney Sloane. So you can imagine that Amy's days are packed pretty full. Nevertheless, when she's commuting, exercising, or on a plane, she's generally listening to podcasts. "Some feel like an intimate conversation with a friend, while others are informative. And some grab your attention like a good novel you just can't quit," she says. "I find some can make me feel inspired, some are amazing human stories, and others I listen to for personal and professional growth. There's an option for everything!" According to a study by Edison Research and Triton Digital, six million more Americans listen to podcasts weekly in 2018 versus 2017. That accounts for about 48 million people, an eyebrow-raising number on its own, but it's also interesting that the increase is mostly coming from women. Although there are plenty of different subjects to choose from—and Amy listens to a variety—she spends a lot of time listening to parenting podcasts. "I learned more about motherhood by talking with my friends than I did from any formal book. And that transcends the basics like diaper creams into things like how to transition into being a working mother or how to prioritize your marriage post-children," she says. "Podcasts are a wealth of knowledge, and it all feels like it's coming from a conversation you're just sitting in on. 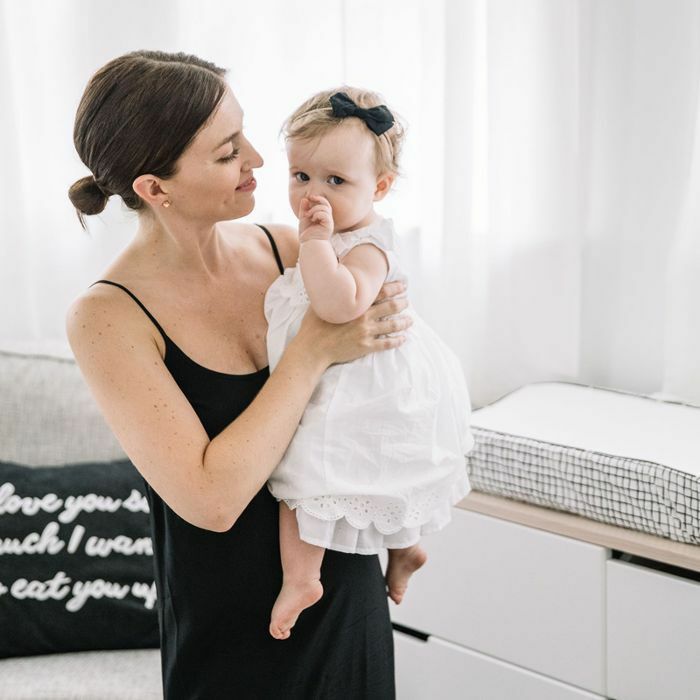 With the little free time we have as mothers, it's a great resource, and we can always pick up where we left off." Ahead, Amy gives seven recommendations for the best parenting podcasts currently available. The Review: "This has great candid discussions between two mothers, Liz Gumbinner and Kristen Chase, with some celeb cameos thrown in. They have a great episode called 'Oversharenting' where they discuss how much is okay to share about your kids online. They also have an episode about making friends after kids, and their own experiences of losing friends and making new ones." The Review: "This one is hosted by two editors at Slate, Allison Benedikt and Dan Kois, who are also parents. It's full of witty banter and entertaining conversations, all while focusing on contemporary parenting issues and current events. Highlights include 'Some Kids Are Jerks' and the sporadic F-bomb." The Review: "Nursing is no joke; it basically comes with its own dictionary of terms that require a few weeks to learn. This was a big obstacle for me, and I know it is for a lot of other moms. Hosted by a board-certified lactation consultant (which helps since the internet is a black hole for nursing questions), it covers successes, struggles, tips, and tricks. It also helps normalize all the weird things that come with nursing." The Review: "This is merely a coincidence [Ed. note: Second Life is MyDomaine's podcast], but I've been hooked on this podcast for the past couple of months. While I'm a mother, I'm also a working woman who took a major pivot in my career path a few years ago, and I love to hear inspiring stories of other women who have done the same. It's hosted by a mother, Hillary Kerr, so that makes it parent-related!" The Review: "Maybe I'm biased because Hailey is a good friend of mine, but I've always loved her approachability as a person and vulnerability as a mother. She combines forces with her husband for this podcast, and they're really, really funny!" The Review: "They do a great job making parents feel less isolated on this podcast. All of the traumatic and weird things you experience as a new parent, you can bet someone else has, too. It's nice to be reminded that you're not alone in this thing called parenting." Up next: This parenting book taught me that it's okay to not know what to do, says one mom.